It has been a while since I thought I should write a review of iRead. 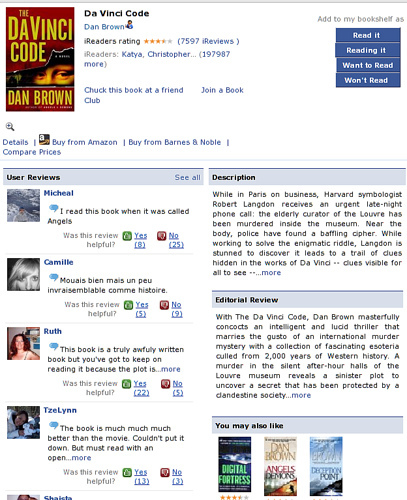 iRead is a social book discovery application. It has been quite successful on Facebook and has a very large userbase. Currently iRead has a total install base of about 1.4 million users, mostly from Facebook. 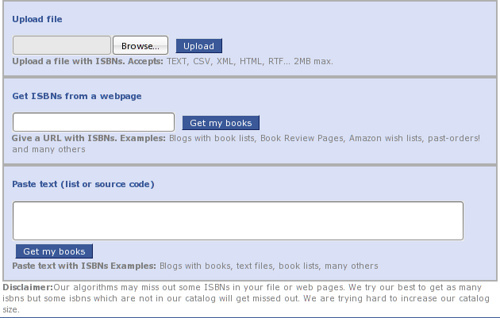 So what do we mean by social book discovery? iRead is not just about maintaining a bookshelf online. It tries to bring the social aspect into picture. ‘social’? iRead depends a lot on your social network. You can share your bookshelf with your friends, learn what your friends are reading and what their reading tastes are. You can discuss about books in various book clubs. You could participate in Quizzes or even add your own. 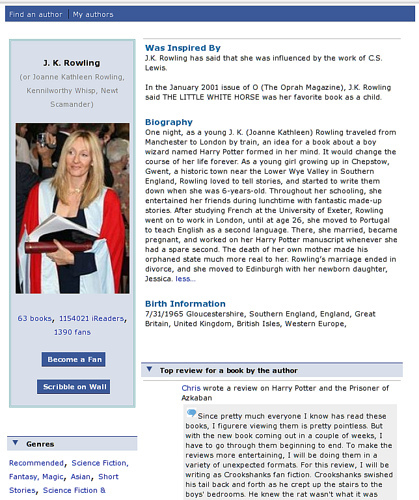 You can find out how compatible your reading tastes are with other people in the network. iRead does not require a separate registration. It is available right in your social network. (As of now the application is available in Facebook, Orkut, MySpace, Hi5 and Bebo.) So when we are talking about friends, we are talking about your friends from the network where you are using iRead. So if you use iRead in Facebook, you see your Facebook friends in iRead, while in Orkut you see your Orkut friends. Many a times, all it requires is to just add the application to your profile. ‘book discovery’? For one, iRead provides recommendations based on your reading tastes. Then there are various other mechanisms by which you can discover new books to read. Let’s explore some. * You could first start off by searching for books and adding them to your bookshelf. This helps us learn about your tastes and recommend books that you may like. * When searching, you could either enter the name of the book, or its author, or if you know the ISBN, you could enter that. * If you want to just browse through the application you could start off by looking at what other iReaders are doing. The home page shows the most recent activity in the network. * So let’s say you find some interesting book. Just click on the book and you are taken to the book details. Here you get to know how many readers the book has, how many reviews people have written for the book and get some instant user reviews and an editorial review. You can also find out similar other books. * If you see that the book is interesting, just click on the ‘See All’ reviews link. 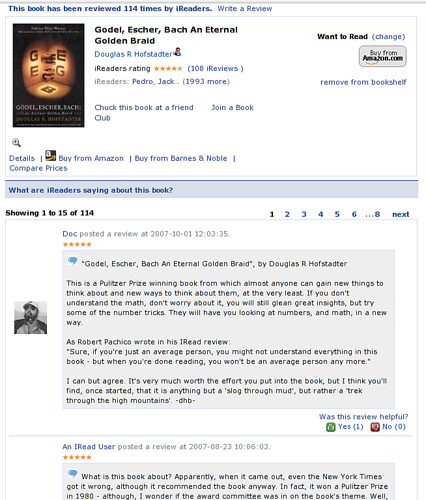 This will display all the reviews for the book. Read the ones you like and you will soon learn what the book is about. * Since there are multiple ways to reach your data, your reviews are never buried. So even if you are writing a review for a book, that already has a thousand reviews, you can expect your review to be read by other iReaders. * If the book interests you, you might want to check out other books by the same author. Just click on the author’s name. This will show all books by the author. You could also click on the small icon next to the author’s name to search for the author in Author’s corner. This will give you other details like the profile of the author, what others think about the author, how many fans the author has etc. * Author’s corner is a forum for readers to interact with their favorite authors. So if you are the author of a book and are looking for a forum to interact with your readers, this is where you should be. Author’s corner allows authors to maintain their profile, and also learn about their readers’ expectations. * While reading reviews, you might find that the review from a particular user is very interesting. You might now want to look at this reader’s bookshelf. Many a times, I have found this to be a good mechanism to discover new books. You can get an assurance of how close your tastes are by looking at the number of common books amongst you. Ok, now you might want to look at other reviews by this reader. * You could also contact the reader by leaving a wall post/scrap. 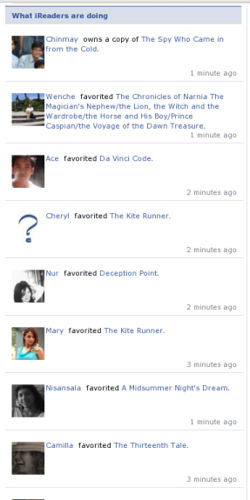 * You may also want to check out who among your friends is on iRead and what they are reading. Click on the Friends link in the header. If you want to know about your friends’ reading tastes and they are not yet on iRead you could invite them to add the application. * For selected books, you could even browse inside the book. A lot of out of copyright books are available for free online viewing. Some other selected books are available for limited preview. So what if you are in all these networks and want to use iRead everywhere? 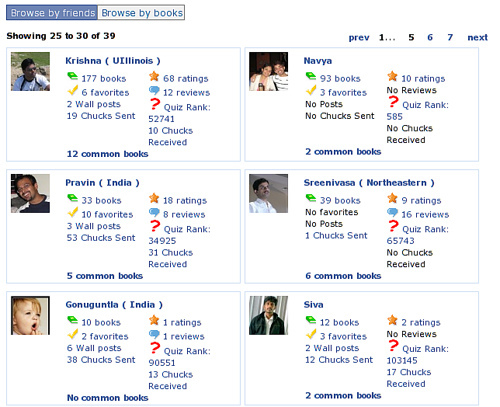 iRead has a feature to import your bookshelf from Facebook to Orkut, MySpace and/or Hi5. Once imported, you will see the same bookshelf in all the networks. However the friends shown to you depends on the network you are currently in. If you have been maintaining books in some other place, you may want to try importing books using the import books option. The link to this is found below the search box. Can’t find a book you want to add to your bookshelf? You can add it to our catalog. The link to add a book is found below the search box. So what’s more?! Happy iReading! Disclaimer: I work for Ugenie and am part of the iRead application development team. The views expressed here are my own and not necessarily those of Ugenie.